The phrases “Book More Brides” or “us” or “we” refer to the owners of the website whose registered office is at 106 Fairview Ave Poughkeepsie, NY 12601. The phrase ‘you’ refers to you as the visitor of this website. Disclaimer: We do our very best to share accurate, reliable information. However, neither we nor any third parties provide any warranty or guarantee regarding the timeliness, accuracy, completeness, performance or suitability of the information and resources found or offered on this website for any particular use. You agree that this information and resources may possibly contain inaccuracies or errors and we expressly exclude liability for any such inaccuracies or errors to the fullest extent permitted by law. Book More Brides does not warrant that the site itself or the server which transmits it will be free of viruses or anything else harmful, nor do we guarantee than any defects found will be corrected. If you choose to use any information on this website, you do so entirely at your own risk, for which we shall not be liable. This includes the full cost of any repair made to your computer. We are not lawyers, doctors, accountants of tax experts. It is your responsibility to verify that any products, services or information available through this website meet your specific requirements by consulting an appropriate expert. By using this site you waive any claim whatsoever against Book More Brides that may arise from your use, whether intended or not, of any other site. This waiver specifically includes any claim arising from a product and/or service that you purchase from any site other than BookMoreBrides.com and any claim arising from the security of information (including, but not limited to credit card information) which you may use on this site. Certain applicable laws may not allow all the limitations of liability described herein. 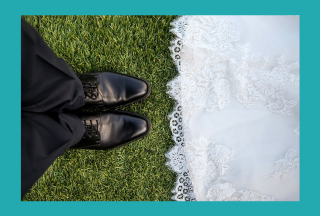 If that is the case, Book More Bride’s total liability to your for losses, damages, causes of action and/or negligence shall not exceed the total amount paid by you (if any) to access the site. The contents of this website are owned by or licensed to us. This material includes, but is not limited to, the design, layout, look, appearance and graphics. Reproduction or use is prohibited other than in accordance with the copyright notice, which is included in these terms and conditions. The articles on this website are information property of Book More Brides. You may not use or reproduce these contents without express written permission from the owners. From time to time, we may include links to other websites on this website. These links are provided as a convenient way to help you find more information. However, this does not indicate that we endorse the website(s) or its content, and we have no responsibility for the content that may appear on these site(s). Occasionally, we may link to a product or service as a recommended resource for you. If you click one of these links and purchase the product, you may assume that we will get paid a commission; however, this is not always the case. You may link to this website from another website or document as long as you credit Book More Brides and receive prior written approval. Hypertext linking with any terms involving religious, political, pornographic or hate language is not permitted under any terms, nor is linking from websites that contain this type of content. By entering your name and email address on this website, you understand that you are subscribing to a free, no obligation “Book More Bride” email newsletter. This newsletter is a free service offered by BookMoreBrides.com for which no purchase is necessary. Occasionally, subscribers have had trouble removing themselves from this free newsletter. If you have difficulty either subscribing or removing yourself, please contact us for help. By entering your email, you agree that you wish to be subscribed to this newsletter and that you will make no threats and take no additional action against Book More Brides in the event that you are unhappy that you subscribed or are unable to remove yourself from this free newsletter and you agree that the small inconvenience of receiving this unwanted email will cause you no personal, emotional or financial harm. If you do not wish to receive our newsletter, simply click on the Unsubscribe link at the bottom. For further assistance, email us or write to: Book More Brides 106 Fairview Ave Poughkeepsie, NY 12601. Notice about Testimonials: The testimonials on this website are all true and reflect the opinions and experiences of real users and clients of Book More Brides products and services and are submitted voluntarily by these customers. 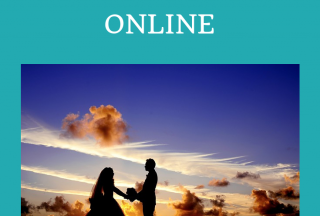 By sending your testimonial to Book More Brides, you agree that it becomes the exclusive property of Book More Brides, which includes the right to reproduce, edit (for length but not general content) and/or publish this testimonial which may include your name or initials and city/state/country of residence. Some customers may who have submitted testimonials may have received a Book More Brides product or service as a “Thank You” because we greatly appreciate the time invested in writing about their experience. Thanks! Your use of this website and any dispute arising out of that use will be subject to the laws of the United States of America. No impersonating any person, including, but not limited to, other community members or employees of Book More Brides. No actions that may be harmful to minors. No manipulation or forging of identifiers in order to disguise the origin of any information posted on Book More Brides site. No posting, providing, transmitting, or otherwise making available any information which violates regulations promulgated by the Securities and Exchange Commission, or that of any securities exchange, such as the New York Stock Exchange. No collecting, storing, or posting of personal data about or of other community members. No soliciting of any kind on the blog or in the forums.